Home>Browse>Books>Art , Design & Architecture>Art techniques>ARTrageous! ARTrageous! features more than 25 drawing, painting, and mixed media projects for adults and children to create together. ARTrageous! is the first title in Art Camp, an exciting new series designed to introduce young artists to a variety of art techniques in fun, fresh, and inviting new ways. 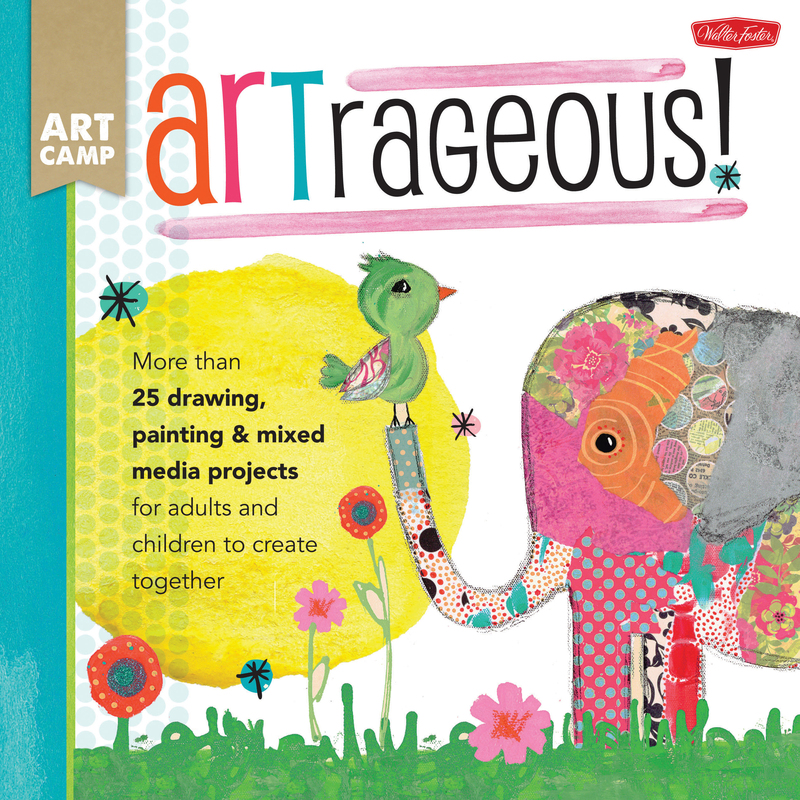 This colorful and quirky book teaches budding artists the basics of drawing, painting, and mixed media art through the talents of artist Jennifer McCully, who takes readers on an exciting artistic journey through more than 25 dynamic step-by-step projects, including canvas paintings, collages, doodled drawings, and more. This book opens with a fun introduction to some of the tools and materials children will use to complete the projects, as well as warm-up exercises, instructions for special techniques, and a primer on the basics of color theory. Children will learn how to draw, paint, tear, stamp, stencil, and glue their way to imaginative, whimsical artwork using boldly patterned animals, fun and funky flowers, and playful patchworks. The colorful layout and full-color step-by-step photos make the instructions appealing and engaging for young artists to follow along with minimum supervision required, using only basic tools and materials. Parents and children alike will be enchanted by its fresh and bright aesthetic, wide variety of highly interactive art projects, and simple instructions. ARTrageous! is sure to cultivate a lifelong love of art and fill many days with creativity, inspiration, and artistic exploration.